Biobanks are stores of human biological samples including blood, urine, and organ tissue that are used for research. Participants may donate samples during clinic visits, surgical procedures, or autopsies, and in some cases family members decide whether to authorize a donation. Samples are stored with annotating data—information pertaining to the health-related clinical outcome and familial, social, and genetic details. These samples may be released for use in one or more studies, and they are especially useful for identifying gene variants involved in diseases and developing targeted treatments. In addition to providing valuable samples for biomedical research, biobanks must also act as mediators between scientists and donors to ensure the need for samples is met while protecting the privacy and confidentiality of donors. It has been suggested that using patient-centered language and stating that samples are “deidentified” can help to reassure biobank participants that appropriate measures are being taken to maintain their privacy. In a survey of patients, their families, clinicians, and ethics committee members, 93 percent were comfortable with genetic research using donor deidentification, and 90 percent approved of using leftover blood for research if the samples were deidentified and the studies were approved by an ethics committee. 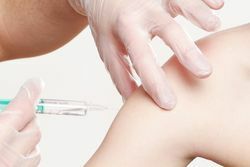 Communicating the protocols in place to ensure patient privacy and explaining the different ways a sample may be used in research may encourage patients to become biobank donors. Confidentiality implies that information is shared only after authorization is given by the donor. Biobanks often require broad consent, whereby the donor consents to their sample being used for multiple experiments and studies. 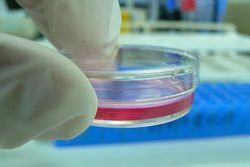 Obtaining broad consent can represent a challenge for biobanks, as individuals may be willing to donate samples for use in specific experiments, but not for others. For example, donors may not consent to research using stem cells but may be willing to consent to sample use for genetic research identifying gene variations in disease. De Vries and colleagues sought to determine which was more generally accepted: broad consent or specific study-by-study consent. In a national (US) sample, 44 percent of responders deemed blanket or broad consent unacceptable. However, study-by-study consent was also deemed unacceptable by 45 percent of responders. Obtaining consent is further complicated by the fact that it is often the next of kin that is asked to donate tissues and associated medical records to biobanks. Siminoff and colleagues compared donor and non-donor families’ understanding of risks to confidentiality within the Genotype-Tissue Expression Project, an effort to build a public resource to study tissue-specific gene expression and regulation. Results indicated that family decision makers who authorized donation had a greater understanding of the risks of confidentiality breach than those who did not authorize a donation. Further, family decision makers who authorized donation were more likely to discuss the risks with the donation requester and were more knowledgeable and less fearful of a potential breach than those who did not consent to donation. These findings suggest that individuals soliciting donations should look for ways to increase communication with decision makers. Educating families about the importance of biobank donations, and providing a clear explanation of the associated risks and processes in place to minimize this risk, may enhance willingness to participate. Increasing participation in biobanking may be accomplished through an improved informed consent process. 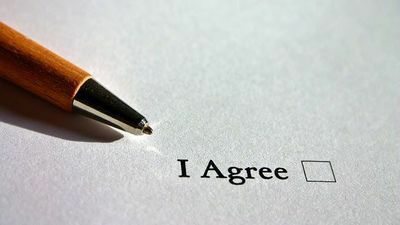 Obtaining informed consent is essential in all human research; however, ensuring true informed consent can be challenging. The challenge is compounded by the amount of personal information associated with each sample and the possibility of a sample being used for multiple experiments. Bossert and colleagues tested and revised informed consent documents iteratively using feedback from addressees. Participants suggested adding and clarifying explanations, using illustrations and graphics, and summarizing key points to improve readability and understanding. Donors may wish to know the results following sample testing. Whether to provide these results is a complicated question, as the definition of what constitutes a “result” is contextual. Cambon-Thomsen and colleagues use the example of assessing the validity of a biomarker, where the relevance of a result differs between the researcher and the donor or clinician. The researcher cares about statistically significant relationships while the donor or clinician is more concerned with the individual result, or a combination of the individual result and its statistical interpretation. Further, many biobanks do not have patient contact information, and are not involved in future contact with donors. Some suggest that laboratories must be CLIA-approvedprior to sharing results, so the cost of obtaining certification may also be a limiting factor. There is still no consensus regarding the release of results, and only a few biobanks provide donors with this information. Communicating this clearly during the consent process may aid in building trust between the donor and the biobank and prevent confusion or misunderstanding following donation. Biobanks provide researchers access to biological samples that enable genetic discoveries and the development of live-saving treatments. However, there are several challenges to encouraging patients and families to donate, obtaining informed consent, and ensuring donor privacy and confidentiality are protected. Some of these challenges can be overcome by communicating to potential donors the risks of breach of confidentiality and the protocols in place to protect this information. Further, ensuring true informed consent and clarifying whether results and data are returned to the donors or their families may lead to more donations.